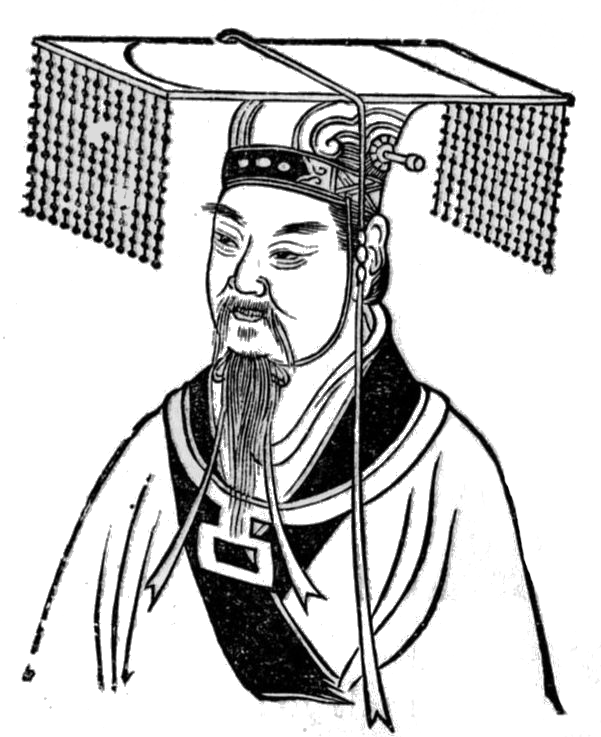 "Huangdi's people were then threatened by a tribe under the leadership of Chi You, who was said to have magical powers and had 81 brothers, each having 4 eyes and 8 arms wielding terrible sharp weapons in every hand. 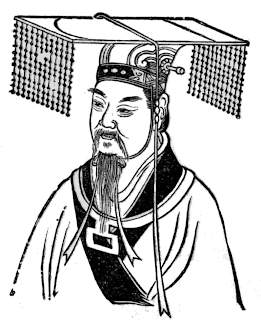 Huangdi called upon 8 neighboring tribes to join forces with him and sent the combined army to meet Chi You and his brothers. The two great armies fought for days without a clear winner. Just as Huangdi's army began to turn the tide of battle, Chi You breathed out a thick fog and obscured the sunlight. Huangdi's army fell into disarray and could not find its way out of the battlefield. 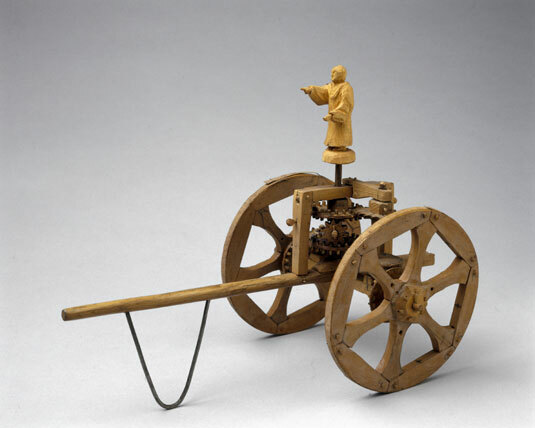 At this critical moment, Huangdi invented the South Pointing Chariot, and ordered its construction on the battlefield. With the South Pointing Chariot, Huangdi was able to lead his army out of the fog." I learned about the chariot through this wooden kit you can buy to make your own. Fascinating. Can you imagine a party of adventurers carefully dragging a little cart through a megadungeon so as not to lose their way? Or delivering one to ruler's army undamaged in order to pull victory from the jaws of defeat? I'm constantly amazed by the things I've never heard of in our world. On reading this it gave me great ideas for bulky, awkward, and fragile scrying devices. Hopefully I'll post some soon. 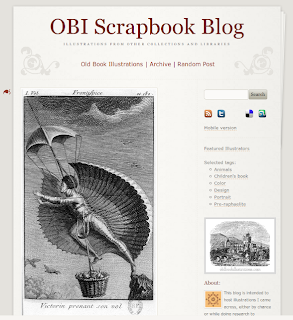 Step 1: Go to the Old Book Illustrations Scrapbook Blog. Subscribe to their feed or check often. Step 2: The OBI blog puts links to sources under all their pics. 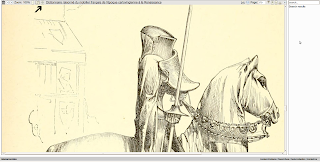 Look for promising illustrations hosted on the Internet Archive. Why? Because often there will be many more illustrations in that same book, sometimes cooler than what OBI chose to display, and you know archive.org will have the whole book. Also you can get a little better resolution images. Why not just start at archive.org you're probably thinking. You can if you know what to search for, but try as I might OBI has soundly defeated my search-fu; they find stuff I didn't even know to search for. My favorite so far has been several illustrated French dictionaries of furnishings. Step 3: Follow the link to archive.org. 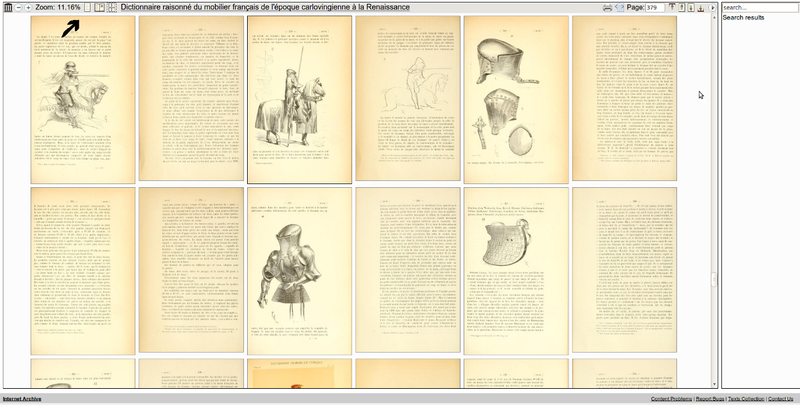 The entire book is available in various formats on the left. Grab the whole pdf if that works for you and realize you can a) import individual pages of a pdf into an image editor as an image (I use the Gimp) failing that b) you can capture a screenshot of the page your interested in and work with that. 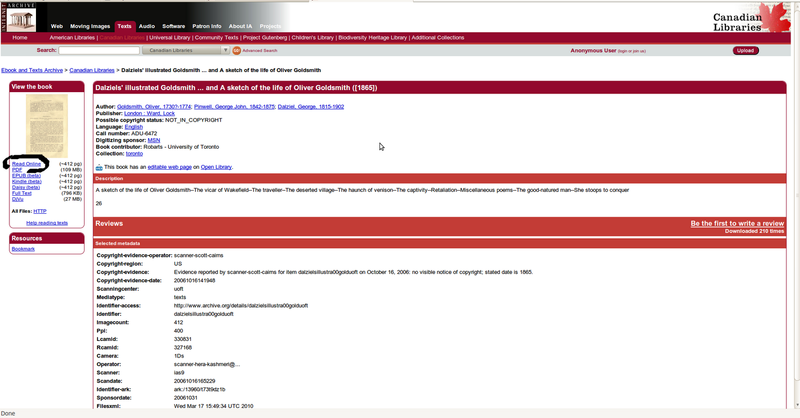 For some reason large pdfs are sloooooooooooow on my machine. So slow that I had to figure out this different process which probably works better anyway. Step 4: Read online. 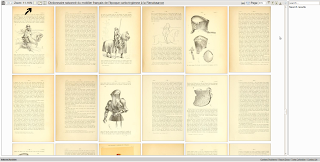 Archive.org has a cool feature that lets you flip through every page of a book as jpgs. Step 5: Go to multi-page view and scroll through the whole book. With the images scaled t0 ~11% you can go through the book pretty fast while still catching interesting pictures. The arrow points to the page view controls. Step 6: Click a page you like, scale it up to 100% and right click to save your image.Then click the multi-page view and continue your treasure hunt. The online reader is smart enough to save your zoom settings, so if you like 11% multi-page and 100% single, you can toggle back and forth to your heart's content. Step 7: Edit. Of course that's a little more difficult, but you'll probably want to at least crop the image and change the mode from color to grayscale. Some of these illustrations are faint so I fiddle with the contrast. But the real fun is creatively editing them or pasting them together as collage. That looks so gritty and mysterious I want to explore it. Hopefully you find something equally cool. 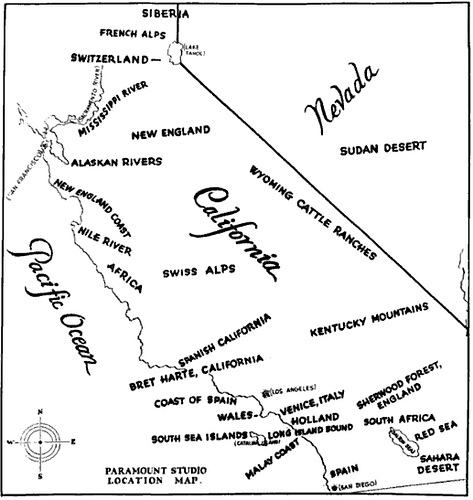 So, in 1927 if you wanted to make a film set in the desert you have a several choices within a few hours drive to shoot in. I am really interested in ways a map can communicate to players to help them make choices. Zak had the great idea of using the fonts of place names to convey some sense of the place. I think in addition to that we might make more use of symbols on the map. I know that sounds ridiculously obvious, but maybe I need to think about it a little more. My world map probably would be a little more sparse, a little less cartoony. But the idea is there. Like most fantasy maps you have your ancient ruins located. But also, if there are nomadic tribes to the east, it's probably common knowledge. Or if a region is known to have precious gems or valuable furs they would have symbols on the maps. Waterfalls, rapids, huge canyons, hot springs, bandits, large carnivores, there are lots of possibilities. The idea isn't that the map is accurate. It's an abstraction of general knowledge of the area. So, no one in the home town or local keep has necessarily been to the marshes down south in generations, but they know tribespeople keep bringing amber out of that region to trade. 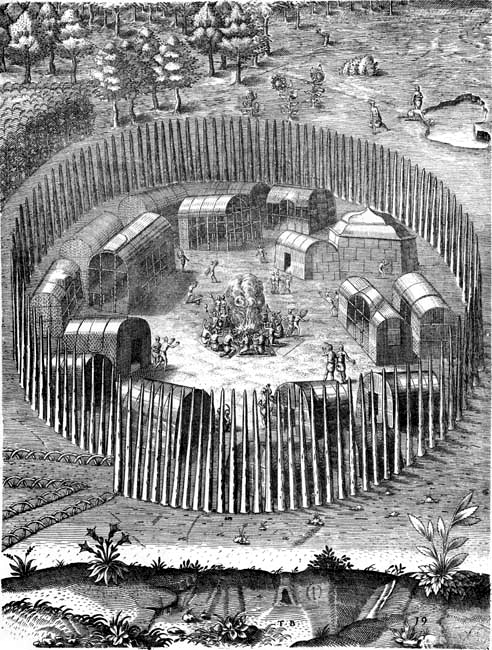 And those traders might mention circular ruins. 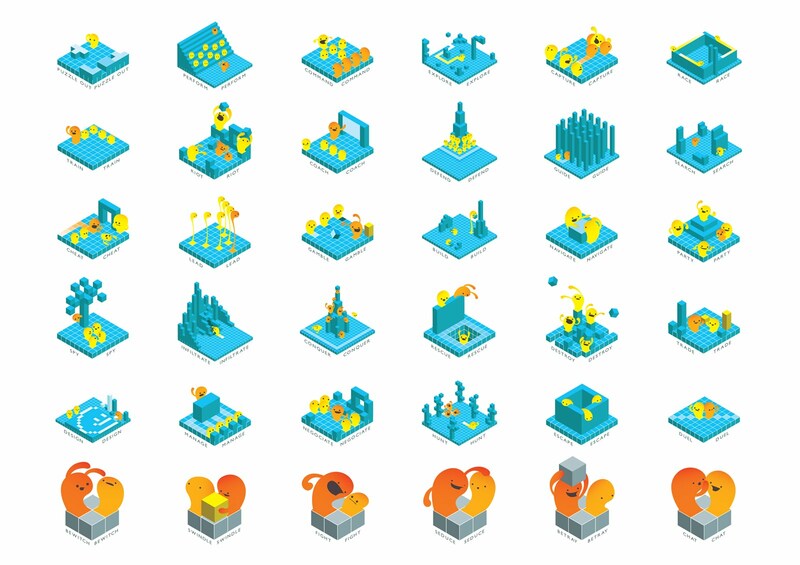 Another influence in my mind on this topic are the resource icons for the video game Civilization, at least those in the first two versions. 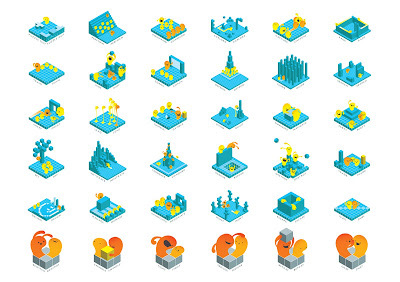 Internet bonus points if you can point us to some nice examples or resources for useful thematic map icons. Work is eating my brain. I wanted to post something to keep the blog going. Many of my players are in academia so come summer there should be a lot more time for gaming. I want to have a sandbox world for them when we start back up. 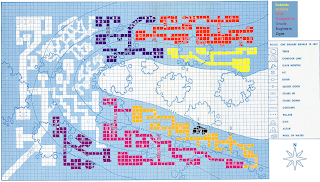 I had an old world map but the idea of it got bogged down with simulationism so I wanted to start over. I want a world map that is simple but offers lots of variety. So what should it have? Swamps or marshes, wetlands are quite different, which? Badlans, canyons, interesting rock formations. It appears my assumption is that these features shouldn't be too far apart, close enough for players to visit them within a week, say. But that makes it hard because most places don't have such varied terrain in such close proximity. I suppose we could go the magical route and have the feature be the result of great historical spellwork or such. Another assumption I'm realizing I have is that these different geographical features will determine cultures found in the game world. I know its limiting but when I think of something like Beduoin culture I think desert, vikings I think coastal fjords. So, at least in my mind, trying to fit in archetypal cultures for adventure gaming affects what geographical features I want to try to stuff into a small region. Or at least decide which archetypal culture will only be encountered at first in a campaign. Hard decision, make an unrealistic smörgåsbord or limit the scope of what players can explore. 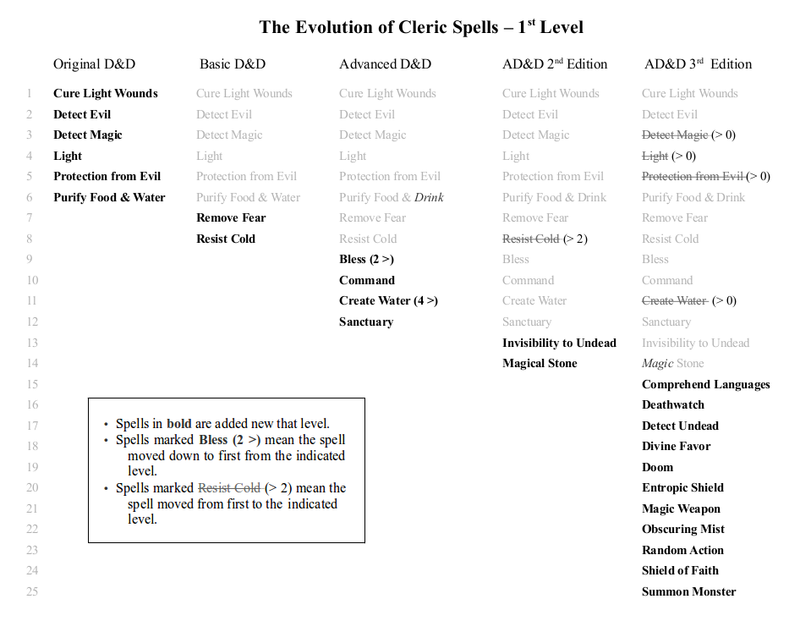 Back when I was trying to figure out how I would handle cleric spells in my campaign I made a chart of how first level cleric spells changed through the editions to help myself see what was going on. 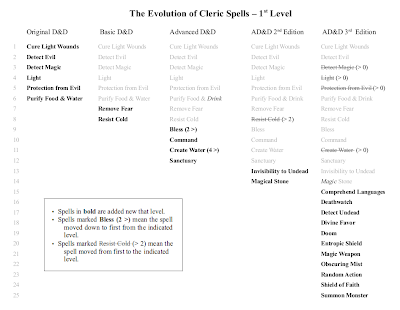 Delta has been posting some interesting stuff about how spells have changed through the editions so I dug out my chart, prettied it up, and offer it to you. I ignored the druid spells that got pulled in during 2e, not because I don't approve of them functioning as generic priest spells, but to keep things clearer; druid had always been a separate archetype and so I keep those spells separate. There are probably errors. The main thing I notice is the accretion over time of more spells. That makes sense. Wizard spells are more dramatic in that regard, going from 8 1st level spells to 45 by 2e. 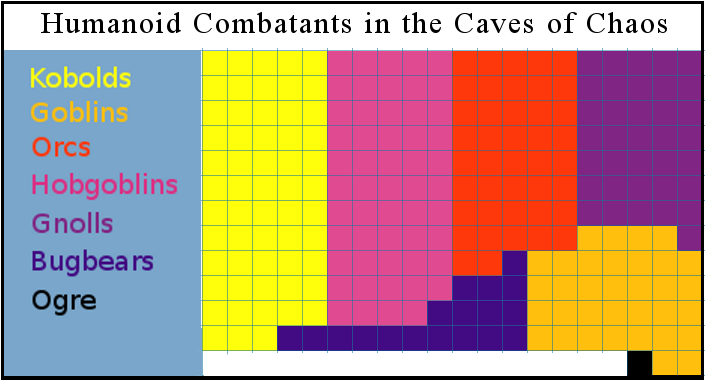 As far as the factions go, it is almost a cross-ravine war going on; goblins and hobgoblins versus orcs. Except the gnolls sometimes ally with the orcs. The ogre generally fights for the goblins but will go to the highest bidder. Kobolds try to stay out of the line of fire. Bugbears pick off any stragglers. And the simulationist in me wonders what the hell they all eat. Alex Schroeder was one of the judges for this year's One Page Dungeon Contest. In February he posted some ideas about what he likes in small dungeons. I don't see why the qualities he lists need be limited to smaller dungeons. I paid close attention because I'm really interested in the idea of abstracting out guidelines or general qualities for a successful old school adventure. Now, much of what he lists you've probably seen before. I covered T. Foster's list of what one typical old school adventuring session should probably include here and Tran Eskoor An Doon posted that same list with some great additions here. I also blogged about Guy Fullerton's idea of the qualities of a great old school module, which is a little different but certainly related. But one thing Alex mentions that I hadn't seen in either of those lists relates to factions in a dungeon and the opportunity for players to negotiate with them. This seems like a classic feature and should probably be added to any list of old school touchstones or qualities of great modules. Intelligent opposition. If the monsters are too stupid, no amount of trickery will help. A handful of named NPCs with goals and quirks to interact with. Potential allies for the more politically inclined players. Maybe even a third party beyond the party and the enemies. Relations between these NPCs in a sentence or two. A is hiding from B. C really hates D. E escaped from the prison run by F.
Factions that these NPCs belong to. Actions will have long term consequences if factions are involved. offers an opportunity to spy on enemies for the stealthily minded players. A murder hole, a grate, a tiny tunnel, a scrying ball. I'm really interested in designing my own Keep on the Borderland mini-sandbox, but I've never been very interested in humanoids as factions-- only because they aren't very distinct in my mind, sort of size-sorted orcs. So I'm thinking about factions and what would make them work. Some useful stuff from Alex toward that goal here. I have never understood why someone introduced to roleplaying would ever think "Hey this would be fun to play competitively." Where did that all come from? Was it the early wargaming roots? 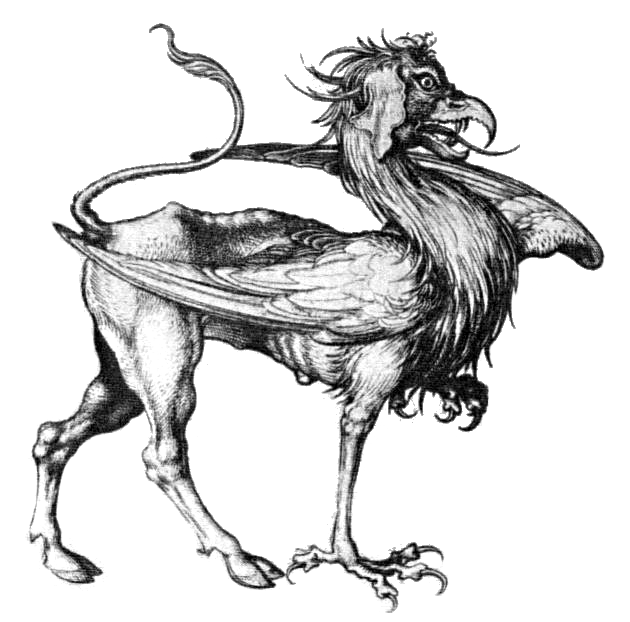 I wonder what kind of different beast D&D might have become if there wasn't so much emphasis on standardization and tournament play. I don't mean that people at home were playing against each other for points, but that most of the classic AD&D modules were designed for tournament play. 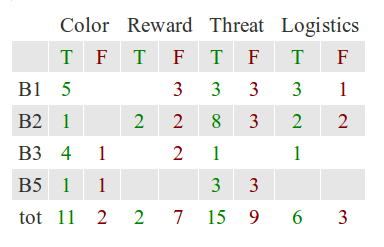 I don't have enough experience to know for sure but I can't imagine that tournament modules would be designed in the same way a module for a DM's home group might be. If we sat down together to make a set of rules to de-funify D&D, this seems to be a pretty good start. First no one gets to make a character and no fun of rolling the dice for the whole gambling aspect of random stats. No wandering monsters, so, it will be pretty scripted. We can give it the benefit of the doubt and hope some encounters are in hallways so that we might not notice there are actually no random encounters. No negotiating! No morale breaking for monsters. So if you see it you slay it. Why not just turn it into an arena fighting game or something? We could give the benefit of the doubt here but I peeked at the scoring sheet and you get points for exploring everywhere. So it looks like you are not meant to avoid monsters but slay them all. And you get scored! Hurrah! "Not only did I keep rolling ones in combat but our team is the worst in Wisconsin." I understand that all these things were intentionally sacrificed for standardization in tournament play. But what that means is at some point some people decided that proving they were a better player than you is more important than all these aspects pivotal to the fun of the game. But if I understand it correctly the way tournaments worked is the team would be scored overall-- how many in the group survived, how much you all managed to explore- not individually. And you would be playing with strangers. Can you imagine a national basketball tourney that placed you in random teams and then had you play basketball with lots of strange rule changes (no passing, no 3 point shots, no freethrows)? It just seems so odd. Do they still do these at conventions? I imagine it would be much easier with something like 4e. Where [X] is the name of your megadungeon, lair, or secret isle. [X] has a chamber with [Strange Fantastic Feature]. [Threatening Tribal Creature] inhabit the [X]. [Common Magical Item] was said to have been lost in [X]. [Exaggerated Amount] of [Treasure Item] can be found [Preposition of Place] [X]. No one has ever come back alive from [X]. [X] was [Synonym for Made] in the time before [Ancient Occurrence]. [Historical Event] caused the [Noun] of [X]. [Broken Law of Physics] is said to occur in [X]. [Ancient Power] used [Unsavory Creature] to [Verb] [X]. Feel free to add more or fill out some in the comments. The 4e campaign I'm a player in is an evil campaign. Not in pillage-the-villages, in your face evil sort of way-- a couple characters are sort of eco-revolutionaries, wanting to take back the lands from the humans via devious means. Anyway, my character is a mage as my characters tend to be. I figured I would play him as amorally, knowledge hungry. He cares for little but new knowledge. What I realized during our Friday session is that it is very easy to explain necromancers as people who aren't bad, but just intellectually curious. This sounds incredibly obvious as I type it out, I mean it's Frankenstein , right? Yet, the fantasy cliche of a swords and sorcery necromancer is often that they are eeeeevil. My character has acquired a list of items that will supposedly grant him immortality. He is seeking them out, yes, he wants to become immortal, but really because he wants to see if it will work. One item on the list is the dried liver of a monk who had never touched alcohol or narcotics. It just so happened that a new player in the campaign had a character that was raised by a monk. So at my suggestion we headed to the monastery he was raised at. Once there I proceeded to ask if the monks partook of alcohol or mushrooms from the forest, etc. It was great fun because the players were getting creeped out. They didn't know what the heck I was up to and have no idea about my list. At one point the DM even said he wasn't sure what I was up to (he'd forgotten the specific items on my list). The new player was also confused because my character has an undead minion, basically a puppet that I pose as myself and use cantrips to make it talk while I remain invisible. Just my player trying to stay out of harms way, but people are invariably surprised when we fight and I lose my invisibility and they say "who is that guy?" As there are no spells per se in 4e I've been focusing on gathering rituals. And the rituals I'm finding tend to be necromantic: preserve a corpse, manipulate more than one corpse at a time, etc. Now, I never set out to focus on corpses or animation magic, but it turns out the dudes we've been fighting have had that kind of magic. And these rituals interest me. Without meaning to I've turned into a necromancer! At that monastery my character was just trying to subtly find out if he might get a spell component there, but to everyone else I was asking bizarre and possibly threatening questions. It didn't help their squeamishness when later my DM had us encounter the dried-but-living husk of a monk of the air whereupon I cut out his liver with his permission. I don't know if my DM improvised that last bit or what, but it was great. Normally my character puts up with party goals in the odd chance that I might find scrolls or old books, but this time the party was uneasy about what I was doing and went along so that I will aid them in the future. Great huh? An evil party squicked out by their own mage. James Maliszewski came up with the concept of "D&D is always right" which I think was an awesome insight. Trollsmyth does a nice job of explaining the approach and why you might care. It reminded me of a concept writing theorist Peter Elbow proposed in the 70s. He called it the Believing Game. Basically, the idea is that western culture values critical or adversarial thinking to a fault and that it can be enlightening and useful to try the opposite approach. So, rather than approaching a rule by saying "This is so unrealistic, why did they make this stupid rule?" you would pretend you agree with the rule as it stands and force your mind to look for reasons and benefits that that's a good thing. Something like: "Well, one good thing about awarding XP for treasure is that players will always be looking for treasure. And they wouldn't need to fight monsters to go up in level, so in that sense it may be more realistic because people won't go out of their way to fight life-threatening monsters." I have to admit I am a doubter by nature, prodding, poking and objecting to new ideas as a first reaction. But I'm trying to use Believing as a mental move more often, knowing I can easily fall back to my default of doubting. I give you permission the next time I'm whining about something to remind me, "Telecanter try Believing." I wanted to do more extensive thinking about this before posting, but work has been kicking my tail so think of this as a first go at it. I seem to be in the odd position of having immersed myself in rpg material with very little chance to play or DM over the years. So recently, when getting back into it and having the chance to play I feel like some weird sort of experienced novice with fresh eyes for things you've all taken for granted for years. In the last session I DMed the only rumor I gave the party was that the Imperial Infanta had leapt to her death wearing all her jewels. I gave it mostly as ominous color, to give the Maw a sense of mystery and titillate with the idea of rewards awaiting. Well, my players, this batch including some more experienced role players, took that rumor as the adventure hook and proceeded to push on and on to get to the bottom of the Maw, which at their level was a fools errand. So, I need to think a lot more about information and rumors and how to dole them out, and what kind of info it should be. To that end I went back to some of the introductory modules: B1, B2, B3, and B5. Turns out B4 doesn't have any rumors and of the early X series modules only X4 has any (I would have included those but I need to study the module more). Color - usually historic details, why things are the way they are, which, as far as I can tell has little bearing on how players will fare. Reward - enticements, promises of riches. Threat - warnings of bad things. A lot of these I suppose to raise the tension level because you don't want to scare the party completely off the adventure. Logistics - possibly helpful but not directly pointing to a reward. Rumors of multiple levels, secret passages etc. Some takeaway thoughts: The majority of rumors are color and threats. Most of those are true. The next most common are lies about threats and rewards. And, finally, some logistical details about the place you're going to explore. Almost none of the color rumors were false which makes sense because what's the point? But why no real rewards? The true reward rumors that are give are not specific enough to really be a boon or to lead you to treasure you might have missed without the info. In addition, many of the false rumors are not just useless but dangerous if taken at face value-- even potentially deadly. I thought coming into this that information being an essential resource for a party meant rumors would probably be logistical information and maybe specifics about rewards. But there is little of that to be had. The rumors that are common in these modules might be useful in preparing yourself for threats, but at low to midlevels it doesn't seem very likely. I mean, you tell me there are orcs in the caves and I'm supposed to memorize a different spell or bring a different weapon? In the modules I looked at I would be willing to make the claim that a party is actually better off ignoring all rumors and not wasting time or resources seeking them out. The Baddest Martial Arts Fight Scenes ever! Some seem fundamental to traditional old school adventure games: explore, fight, lead, puzzle, negotiate. Others are common: search, navigate, destroy, chat, betray. Some seem to be showcased in certain types of adventures: escape, gamble, defend. One of the things I always wanted in D&D was to reach the endgame, to have my own barony, design a castle etc. Of course I never got close to reaching the level needed. Why not give players a taste of that by letting them take part in some baron's settlement efforts. They might be hired to scout for suitable locations, protect building crews, and root out local threats. Maybe you've used this in a campaign, but I think it would lend itself well to a wilderness hexcrawl. You are party of a trading company looking for sources of amber, spices, or rare beasts that must be captured alive. Maybe players set up their own trading outpost and on top of defending it from humanoid predations they must trade and be profitable. Yeah, very colonial, but hey, if the humanoids in your world are literal creatures of chaos . . .
"Or the party might become “traders” operating out of the KEEP, hoping to find adventures as they travel in the surrounding area." This probably just happens naturally sometimes, but I think it might be interesting to try to plan for it. You have a bunch of people who have never played a rpg before and a veteran or two. Those veteran players must train the noobs in some battle tactics, dungeoneering skills, and get them in a out of a dungeon alive. Why? Well, it seems a veteran would know every man for himself is not tenable for long term survival. And like a good sergeant, wants his crew less likely to screw up so the vet is more likely to survive . . . and prosper. I made a d20 table of game seeds for myself by cutting out those that seemed least appropriate to group play or already built into old school play. Roll a couple of times to spur yourself for your next session. Any ideas for elements missing in Liselore's list? Have you implemented anything in your games similar to my suggestions? 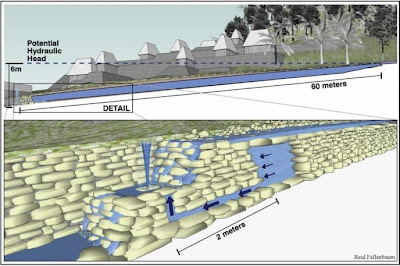 The Mayans may have had fountains. From here. "A water feature found in the Maya city of Palenque, Mexico, is the earliest known example of engineered water pressure in the new world"
This community in India is interesting as an example of nature related practices forming out of necessity (The Bishnoi live in a desert). I thought that it might also work as an alternate culture for Druids to come out of in a campaign. Druids of the desert. 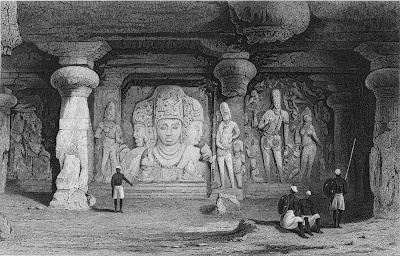 "Their ‘guru’ or preceptor is Jambaji, born in 1451 in one of the warrior sects of Rajasthan. His teachings are based on 29 (bish: twenty, noi: nine) principles that include ‘karuna’ or compassion for all living beings. 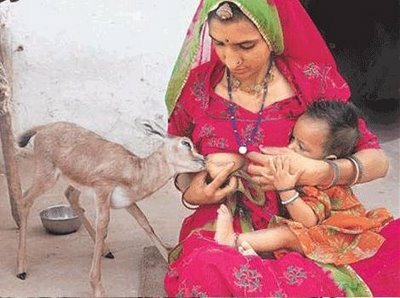 Bishnois do not cut or lop green trees; instead they use dried cow dung as fuel. They do not cremate their dead as Hindus normally do, because it involves the use of firewood; instead, they bury them. Agriculture is the mainstay of the people; they also carve wood during the time they are not busy on their fields. The required wood comes from trees that have have fallen during storms." 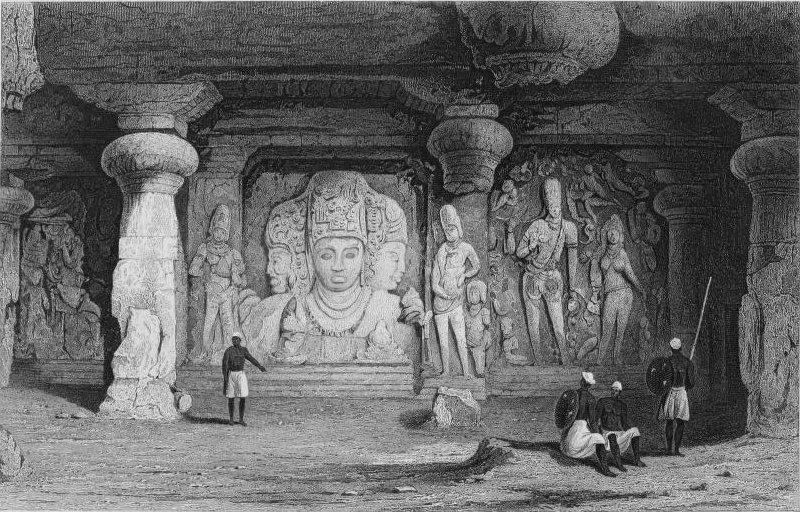 "In 1730 AD, Jodhpur king, Maharaja Abhay Singh, wanted to build a palace, and his army set out to cut trees to burn lime for the construction work. They were amazed to find so many khejri trees in the midst of the arid desert.They raised the axe to cut them, only to find themselves besieged by the villagers who offered their bodies as shields for the trees. Heading the protest was a brave woman called Amrita Devi, who bravely embraced death. Her teenaged daughters gave up their lives too. The entire community followed and rose as one and offered their heads. About 363 were killed by the axe, and the king, astounded by their courage, halted further cutting and declared the Khejarli region off limits for logging and hunting." 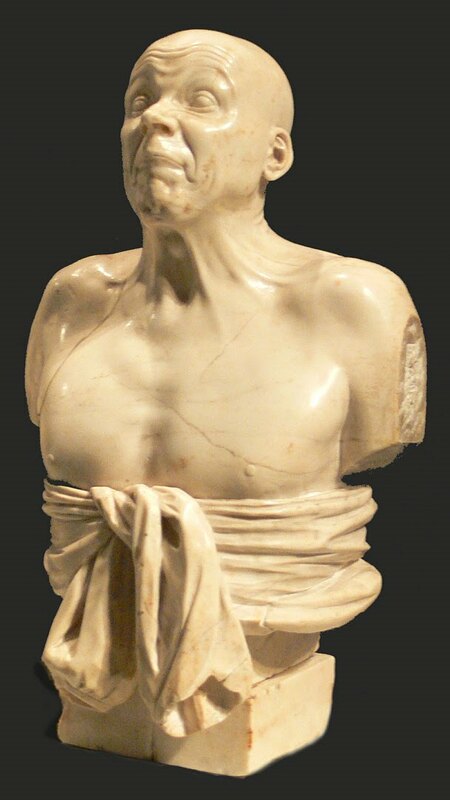 "Franz Xaver Messerschmidt was labelled mad in his own century and by the time he died in 1783 he had produced sixty four remarkable busts of himself which reflected his state of mind and his attempt to alleviate his perplexing ailments." seems perfect as a representation of the mad emperor that called for the construction of your favorite megadungeon. I understand that one of the strengths of old school D&D is the ability to customize and house rule it. That being said I find it strange that in 1e, a game that goes into great detail on weapon characteristics, there isn't better guidance for a DM on something as pivotal as wandering monster checks. Maybe I'm wrong, maybe it's there, but I went searching and couldn't find any frequency or probability of checks recommended. This seems strange to me because the central premise of D&D seems to be resource management and exploration. And time only really matters if the more time spent in a dungeon the more likely it is you'll be encountering something dangerous. 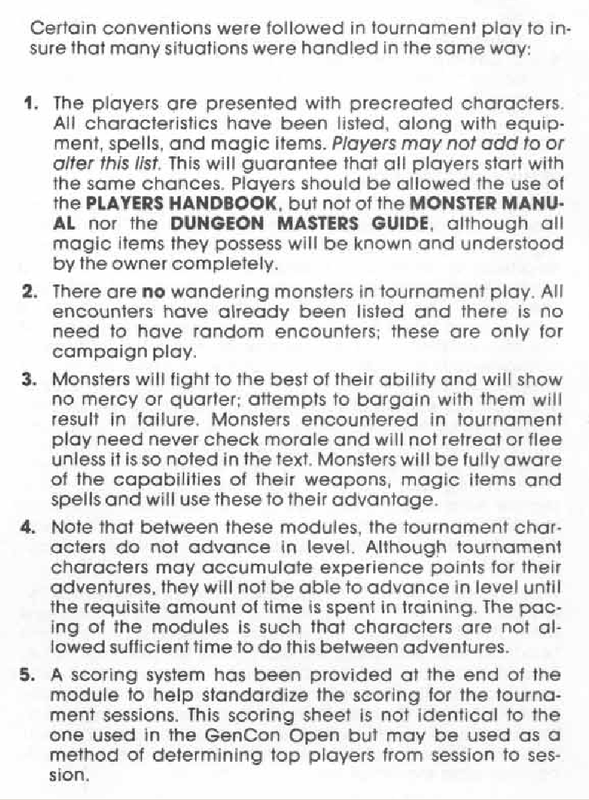 I remember this from my childhood-- rolling up characters was explicit and easy, how to DM was murky and mysterious. When I came to S&W I had the same problem, no mention of how often or common wandering monsters in a default dungeon level should be. I made up my own ruling where I rolled a d20 and a 1 meant an encounter. I don't remember how often I intended to make these rolls but in play it turned into whenever I thought of wandering monsters. That sounds arbitrary, but it tended to work well, because I remembered wandering monsters when 1) players were doing something kooky or noisy, like busting down doors, or 2) there was a long lull in action because the players were being indecisive. My most experienced player knew what I was rolling for and would often take the cue getting everyone moving again. In that sense, wandering monster checks worked not just as a resource management obstacle, and not just a added threat to the underworld, but as a practical prod to keep things moving and fun. So, first, it seems there is consistency here; wandering monster checks all have a ~17% chance and they happen every twenty to thirty minutes. Except for oe, which makes me wonder if people considered every turn too frequent. I have to give props to Labrynth Lord here, it has the clearest explanation of the batch. I'm not sure why S&W drops the ball here. It's great to give DMs room to house rule, but something as game-changing as wandering monster frequency seems both important and difficult to guesstimate without experience. My own house rule isn't too far off; if you estimate that on average I was giving a 5% chance every turn, it isn't too far off the ~17% every three turns. If anything it looks like I've been making wandering monsters a little too infrequent. Update 5/2/10: I looked more closely at the 1e Players Handbook. It has a section on page 101 that always felt odd to me. It felt odd because it never seemed clear to me who the audience was. Was it experienced players? Was it DMs (the PHB did come out before the DMG, right?)? It doesn't seem like the audience is intended to be new players; why go into such esoterica as invisible movement or spend time defining tricks and traps in depth? "At prescribed intervals, your DM will generate a random number to find if any meeting with a random monster occurs." With B2 this seems strange, because you could almost play D&D with just that book: they give you the attack matrices, the saving throws and random encounter tables. You barely need the rule books. But they don't mention how often to check for random encounters. Update 5/3/10: Okay, one last addition to this seemingly trivial subject. I did finally find mention of the frequency of "periodical checks" the DM is assumed to make in the first addition DMG. "(Here, as about 3 turns have elapsed, the DM rolls a d6 to see if a ’wandering monster’ appears; the resulting 5 indicates none.)" So, as you can see this is strong evidence of the accepted default being every 3 turns 1 in 6. But as a teen experiencing D&D for the first time through the 1e books you would have to infer that. 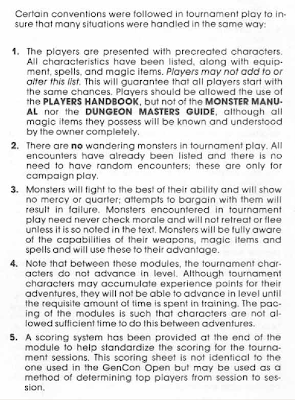 The AD&D DMG, while a font of ideas and interesting information, is a mess. They forgot. You could forget something like that because it was assumed you already knew. 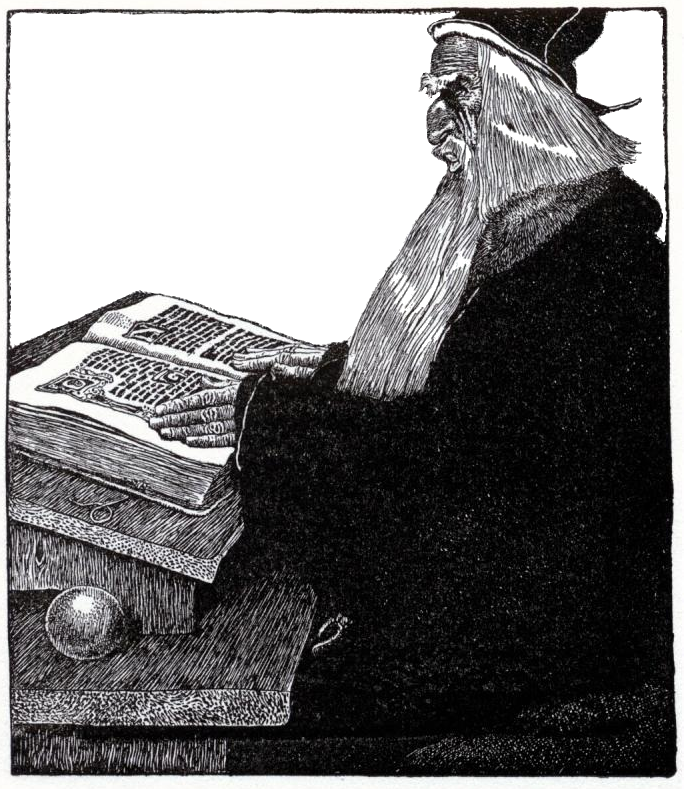 OD&D, Holmes, Moldvay, etc had already spelled it out. Being exact as clockwork with a wandering monster check is less important than using it to prod overcautious or noisy players. Some areas are more dangerous than others and DMs can adjust the rate for themselves. I think now that number 3 is more true than number 4. How great a difference can you really make in wandering monster frequency and still have it be a random encounter, 60, 70 percent chance every few turns? I mean at some point you are saying: "go here and you will fight lizardmen." The most mention wandering monsters get is involving parties that are too cautious and slow or too incautious and noisy. So, I think the frequency of wandering monsters is explicitly tied to making the dungeon felt as a dangerous underworld. But dang, why not say it in so many words!? Every 3 turns roll 1d6. A result of 1 means the party encounters a wandering monster. Roll on a table appropriate for the particular location and level to see which monster is encountered. 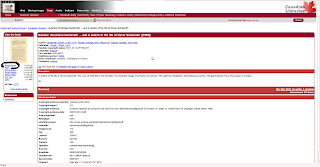 These tables may be provided by a module or created by you. Roll 1d6 and multiply by 10 to get encounter distance in feet-- how far away the wandering monster is when it appears on the "radar." Roll 1d6 for the monster and 1d6 for the party. If either rolls a 1 it means they are surprised for one round and cannot act while the other can act normally. Note: Random encounter checks are meant to keep the dungeon feeling dangerous and keep players moving. If you find interesting action or combat has led you to forget a check or two, that's fine. But also, you can vary the frequency of wandering monster checks if players are standing around indecisively, being very noisy, or if their location in the dungeon is especially dangerous.